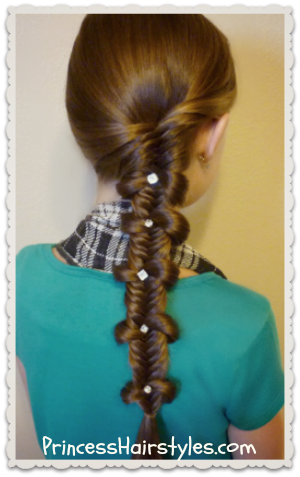 This week we are featuring another cute back to school hairstyle idea, the "fishtail bow tie braid," and I think you will be surprised at how easy (and durable) this one is! 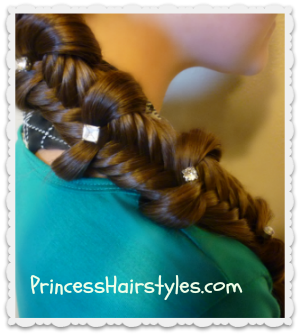 This fun bow braid really doesn't take any more time (or effort) to complete than a regular fishtail braid does, but adds something special and unique to an otherwise standard braid. This braid is casual enough for every day wear (ie school and work) but could also be worn for more formal or special occasions, especially when "fancy" accessories are added! You can wear this braid plain, or with some "hair jewelry" as shown (which really makes the "bow ties" stand out in my opinion.) We purchased the jewels displayed in our video below at our local craft store, and then used a hot glue gun to attach them to the top/side of a miniature bobby pin. I have seen similar accessories available for purchase in beauty supply stores (if you would rather buy them ready to wear.) Jewels, beads, or tiny flowers would all be darling finishing touches in the center of these hair bows. This braid can be worn as a low side braid (like we did here.) Or if you prefer, you can center the braid at the nape of the neck, or place an elastic at the top of the braid, creating a ponytail or pigtails. Of course, you can space these bows out however you wish. 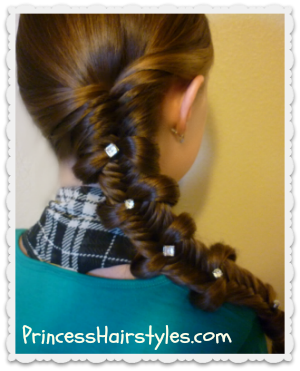 If you want to add just one bow to your braid, or many, it is up to you! One small elastic to tie the braid off at the bottom. 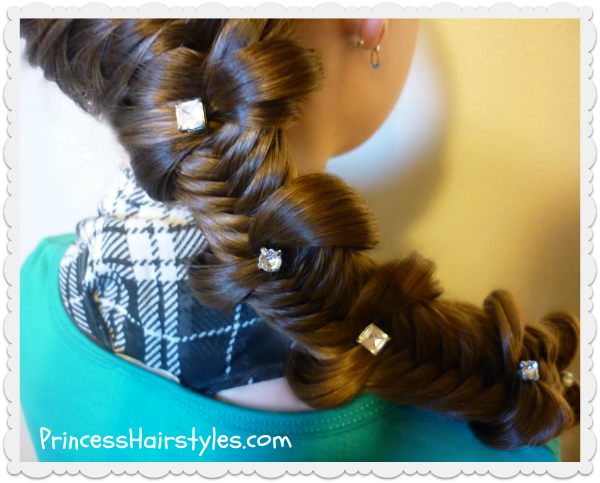 Fishtail Bow Tie Braid Video Tutorial: Click here to watch the video directly on Youtube.